The council of Architecture has released the National Aptitude Test in Architecture (NATA) 2019 Application process dates on the official website nata.in. According to the board, the application process will begin from January 24, 2019. Interested candidates can register for NATA 2019 through the official website. NATA exam is conducted in two sessions: first paper on April 14, 2019 and second paper on July 7, 2019. Since 2006, NATA examination is conducted by Council of Architecture (COA). NATA tests the ability of the candidate in drawing, observation skills, sense of proportion, aesthetic sensitivity, mathematics at 10+2 levels, thinking ability. He/she is assessed based on these parameters. NATA is a national level entrance examination conducted in India for admission into architecture branch in various colleges across the country. Candidates must fill their applications through official website of NATA. 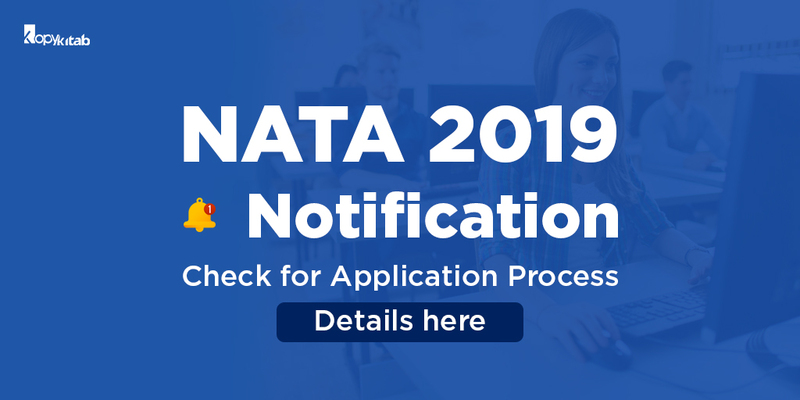 Candidates can visit the official website of NATA and click on NATA 2019 Registration or you can click on the below link to directly fill your applications. Candidates must have passes 10+2 with a minimum of 50% aggregate in Physics, Chemistry, and Mathematics and also 50% aggregate in 10+2 level examination. Hope you have received the complete information on NATA 2019. Prepare yourself to score more using a wide range of NATA preparation books available online. Stay tunes for latest updates on NATA 2019.